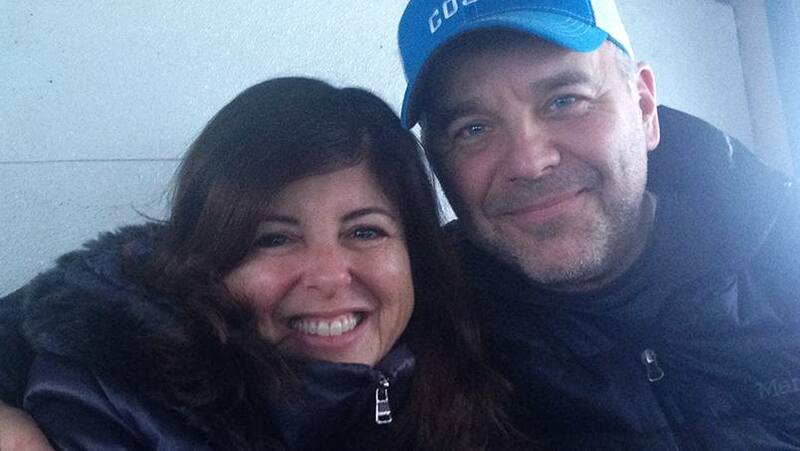 When it comes to his health, Jeff Olsen has always tried to do the right thing. But sometimes, life has gotten in the way of those good intentions. (We can relate.) “I’m a husband, a father of four, I work two jobs,” Jeff explains, adding that his full schedule and full life have sometimes led to what he calls “bad decisions.” Over time, those decisions — an extra handful of nuts here, a few scoops of ice cream there —added up to extra pounds. 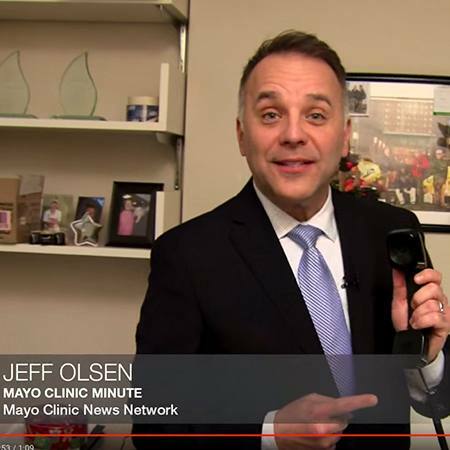 Over the past year, Jeff has begun to move the scale in the opposite direction (he’s lost 14 pounds) and make other healthy changes thanks to the lessons he’s learned on the job as a reporter for Mayo Clinic Minute. He joined the program in October 2015, and soon after, started putting the lessons he was sharing with viewers into practice in his own life. Tthe changes he’s made aren’t just about what’s on his plate. He’s also gotten an annual physical exam, started drinking more water, and found inspiration in the work of James Levine, M.D., Ph.D., whose research focuses in part on the dangers of too much sitting. After working on a story about finding easy ways to get moving at work, Jeff began standing at his desk whenever possible. And since working on a segment with resiliency expert Amit Sood, M.D., Jeff has embraced a technique called Assume Positive Intent. He sums it up this way: “The person in front of you is probably doing the best they can, so give them the benefit of the doubt.” Adopting that mindset, he says, can be a big stress-reliever. Jeff says his overarching take-away from his year of on-the-job lessons is this: “A little bit goes a long way when it comes to making changes,” he says. “Move a little more. Eat a little less. And try to have awareness of what you’re doing,” he tells us. “It’s hard to get started, but once you begin seeing results you’ll want to stick to it. Good change feeds on itself.” That sounds like a message worth tuning in for. You can see more of the lessons Jeff has learned here. Then leave us a comment below before you use the social media tools to share this story with others.